There was much enthusiasm when the Mahindra e2o was launched. At least, a really affordable electric car, a car made in India and built for India, but Indians were not as enthusiastic as expected. Sales so far have been poor, and all export plans have been put on hold. The one and only thing which couldn’t cannot wait was to make the product better, that’s precisely what Mahindra did. The most substantial improvement is more range, from a poor 50 miles in the base e2o to a slightly better 75. Pity that when writing the press release about it, the manufacturer forgot to precise the exact battery’s capacity. Several “luxury” features (for India) have also been added: power steering, a back-up camera, and a hill-hold system. The result shall be a more user-friendly car but not a better performer, as there hasn’t been any changes to the motor, which remains weak, making only 19-kW. 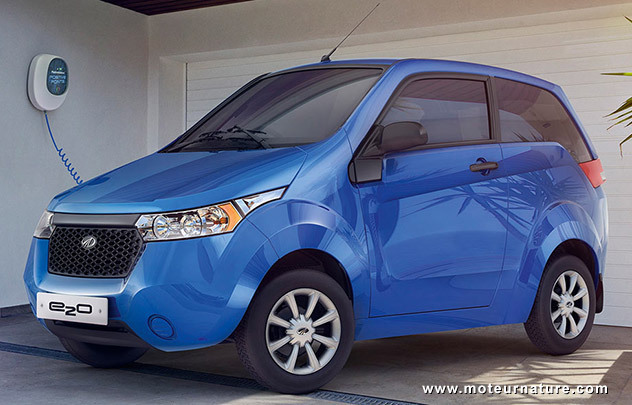 To lower the car price, the Mahindra e2o is sold without its battery, which is leased. This new and improved model sells for 572,000 rupees in Delhi (~$9,464) with a monthly 2,999 rupees (~$50) for the battery. The standard model, 50 miles range and no power steering, costs 480,000 rupees (~$7,942) and 2599 rupees (~$43) each month. The big unanswered question is whether more Indians will be interested in this improved e2o.